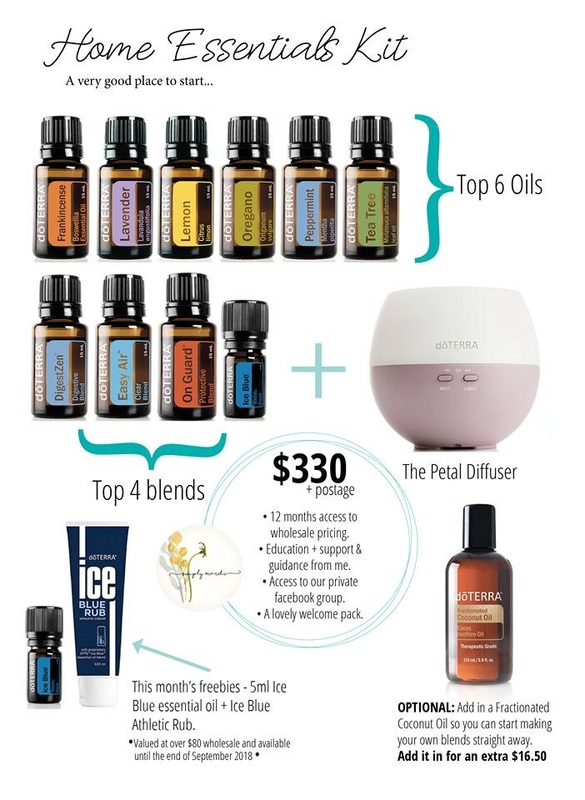 Essential Oils... everyone needs them! Honestly... if you have trouble sleeping... struggle with overwhelm... battle poor immunity... tummy troubles... or anything you can imagine.... its totally true when I say "There's an oil for that!" If you are wanting to get started ...but have been waiting for the right timing ...you might want to consider jumping on-board this month. We currently have a 200PV (point value) promotion which means if you get started with Home Essentials Kit...you also get some generous freebies!! This promotion is current for SEPTEMBER 2018 only.